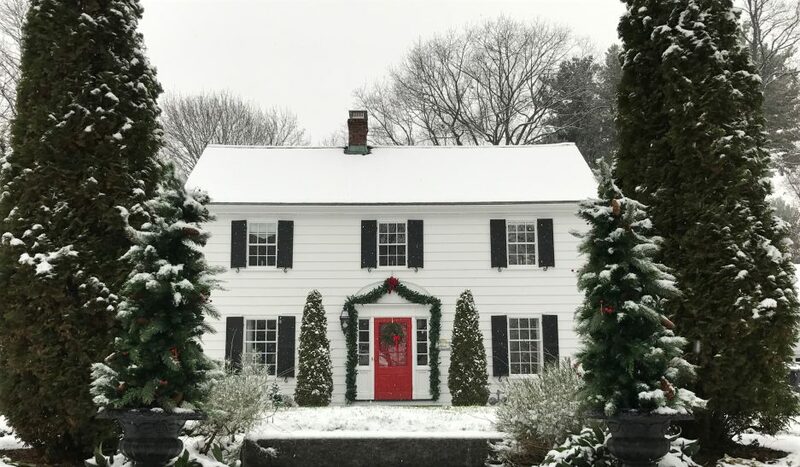 This time of year is absolutely glorious! Lazy, hazy dog days of summer complete with ice cold lemonade, warm sand between your toes, and the echoes of “Marco… Polo” filling the air as you read the latest best seller. Dinners are easier; spontaneous invites for backyard barbeques are extended and accepted. It’s not hard to quickly pull a beautiful simple summer meal together; throw something on the grill and add a delicious salad of farm fresh vegetables on the side. Then your thoughts turn to dessert, but don’t panic! If spontaneity fueled the dinner, time to create a completely from scratch dessert is probably non-existent. 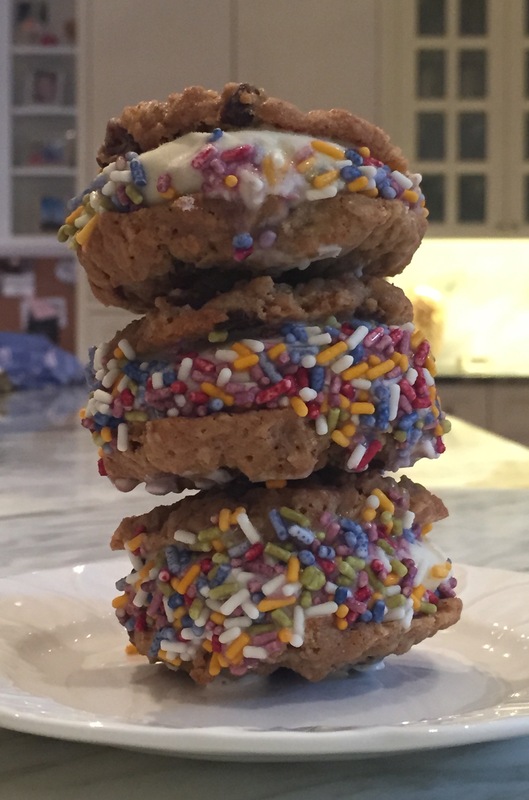 Ice cream is a safe bet, cookies as well, but add some sprinkles and now you’ve got a party! Remember chipwiches? Those chocolate chip cookie sandwiches rolled in chocolate chips? Make your own and get the kids (and grownups) involved! To be honest, more hands-on research is necessary… it’s going to be tough, but I promise to report back after time spent in the field taste testing. Who wants to help?? 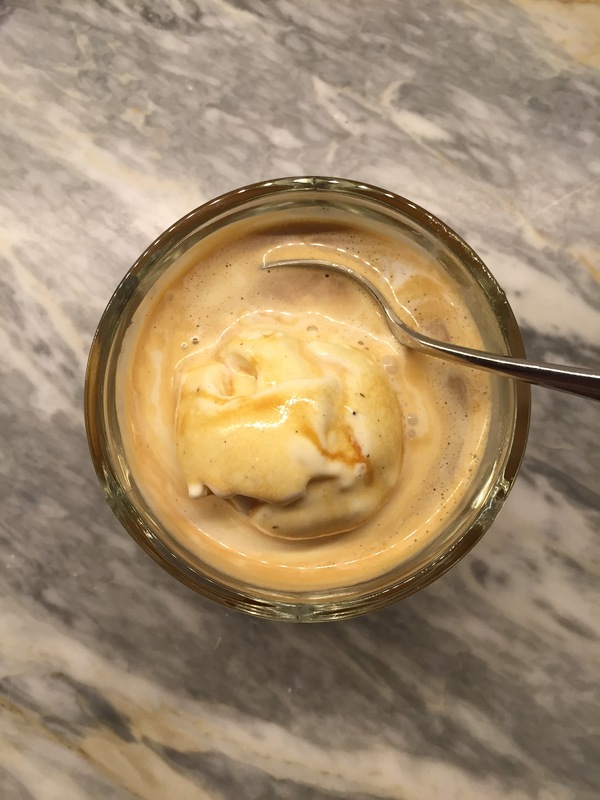 Another incredibly delicious and easy dessert to make on the fly is an affogato. 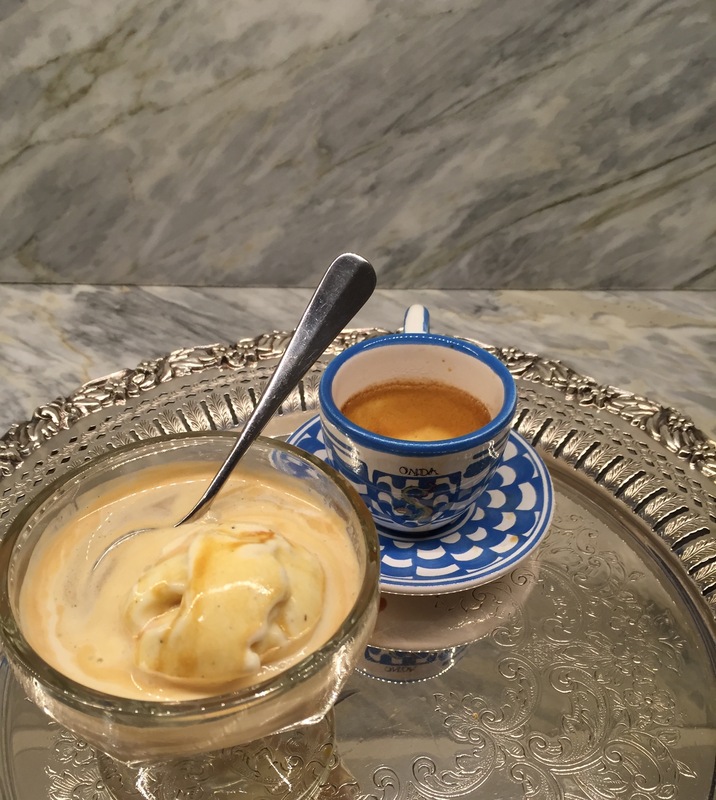 Literally and figuratively, affogato in Italian means, “drowned.” In this case, a scoop of vanilla gelato or ice cream is drowned in a shot of espresso. The hot espresso immediately begins melting the gelato, creating the most perfect “coffee ice cream” ever. As I sit typing, I’m already imagining that a dash of Frangelico or Amaretto would be a sophisticated twist. Two (or three) ingredients and you are done! It doesn’t get any easier. Play around with the flavor combinations of both desserts, and let me know how it goes! Soften frozen ice cream at room temperature for approximately 10 minutes. Be sure to check, you don’t want soup, just soft enough to scoop easily and “sandwich” between the cookies. While ice cream is softening, line a cookie sheet with wax paper and set aside. Pour sprinkles, crushed nuts, or mini chocolate chips into a wide shallow bowl or container. 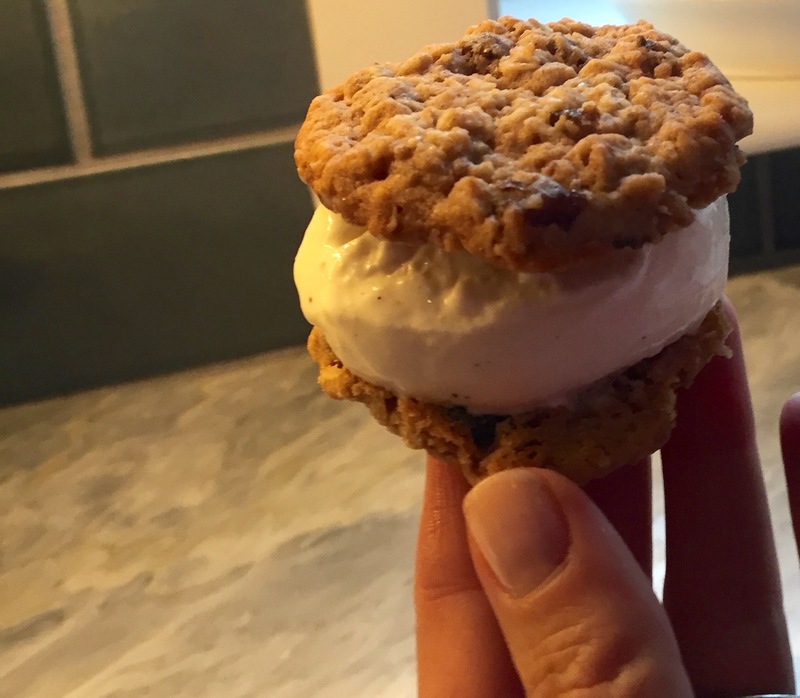 When ice cream is soft enough to work with, place a scoop of ice cream onto the flat-bottomed side of a cookie. Top with another cookie, flat-bottomed side down. Press gently together to ensure that ice cream reaches edges of cookie. 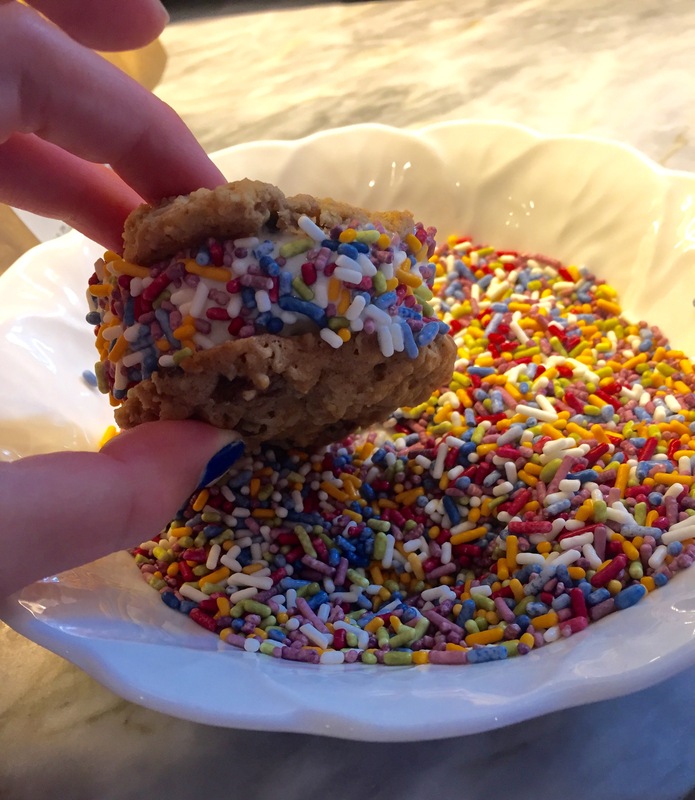 Roll the sides of the cookie in the sprinkles, crushed nuts, or mini chocolate chips so that they adhere to the ice cream sides. Place on cookie sheet. Repeat with remaining cookies and immediately place in the freezer until firm, approximately 30-45 minutes. *Make ahead- when firm, transfer to a freezer bag, separating the sandwiches with wax paper, or individually wrapping them. Sandwich softened ice cream between two cookies. 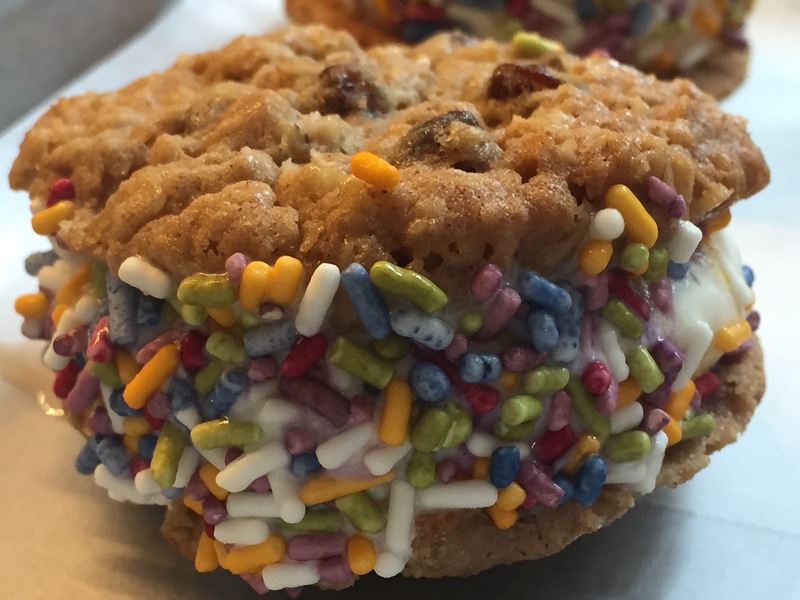 Roll the sides in sprinkles, crushed nuts, mini chocolate chips or whatever suits you. 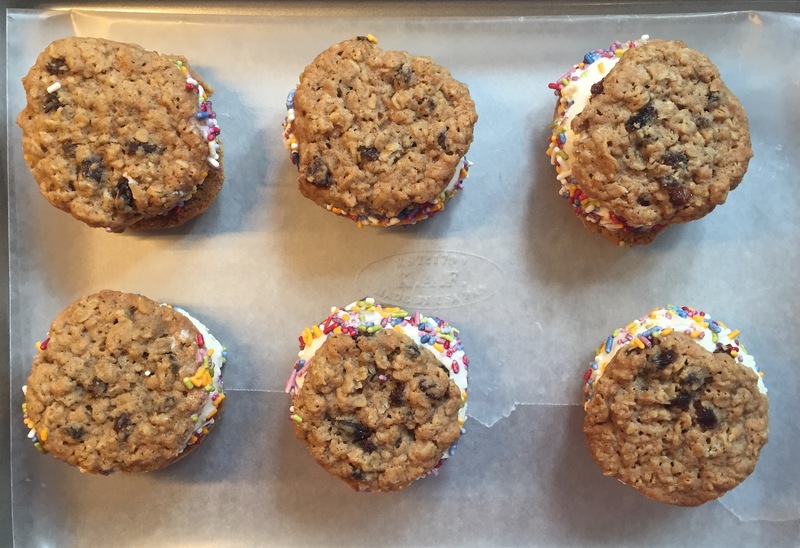 Place the ice cream ‘wiches on a lined cookie sheet and immediately place in freezer. After firming up in the freezer this ‘wich is ready to enjoy! Put one generous scoop of vanilla gelato or ice cream into a serving dish. Pour hot espresso directly on top. Serve immediately and enjoy. Brew a shot of espresso or very strong coffee. 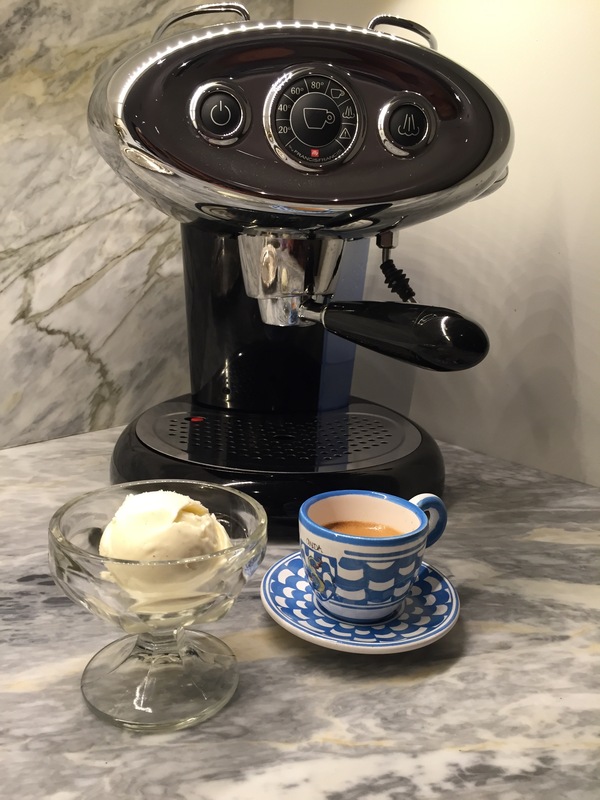 While your espresso is brewing, place a generous scoop of vanilla gelato or ice-cream in a serving dish. Pour the freshly brewed espresso on top of the gelato. Serve immediately.